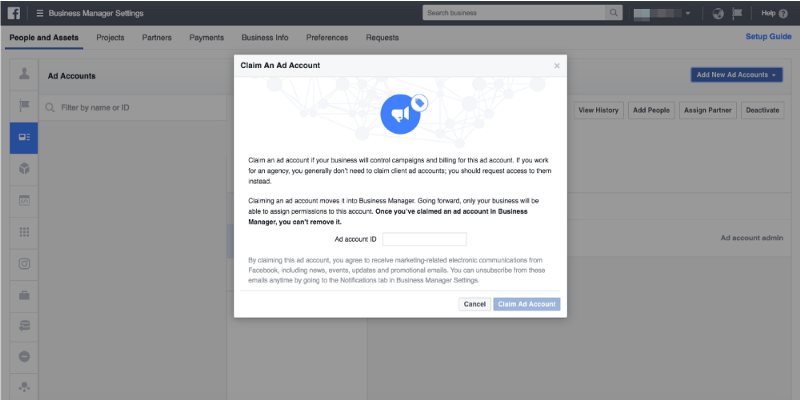 How to claim your ad account in Facebook business manager? Have you added your existing Facebook Ad account to your Business Manager for better management? Facebook Business Manager lets your team members or advertisers manage Ad accounts, pages, apps and permissions in one place. 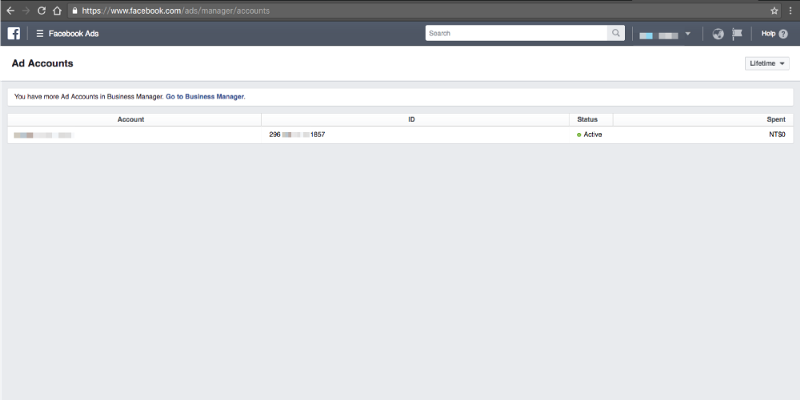 Open your Facebook Business Manager. https://business.facebook.com. If you haven’t created yours yet, just follow the described steps to create one. Go to your Business Manager Settings, and you will see the tab “Ad Accounts” under “People and Assets”. If you have an existing Ad account, please select “Claim an Ad Account”. Type your Ad account ID, and click “Claim Ad Account”. Note: You must be both the owner of the ad account and an admin in Business Manager to claim the ad account. See more here. If you don’t know your Ad account ID, go to your personal Ads Manager ( https://www.facebook.com/ads/manager/accounts ) and paste the ID to the form above. See more in How do I find the ID number for my ad account, campaign, ad set or ad? Once you finished the settings. You will see the page below! What if I don’t have any existing Ad accounts? 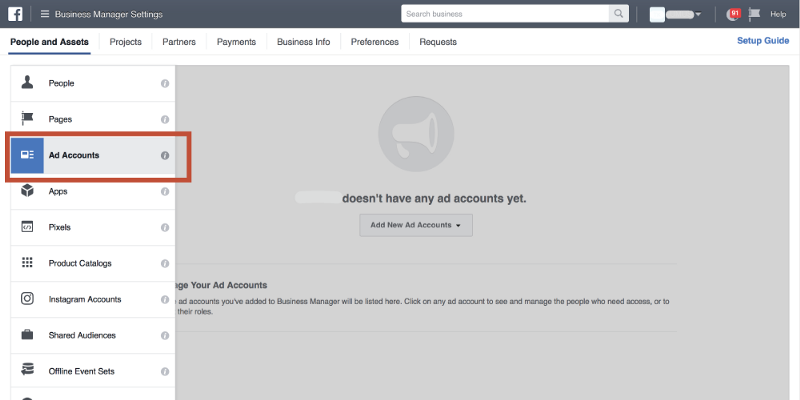 If you have no Ad account yet, you will need to create a new Ad account in Business Manager. 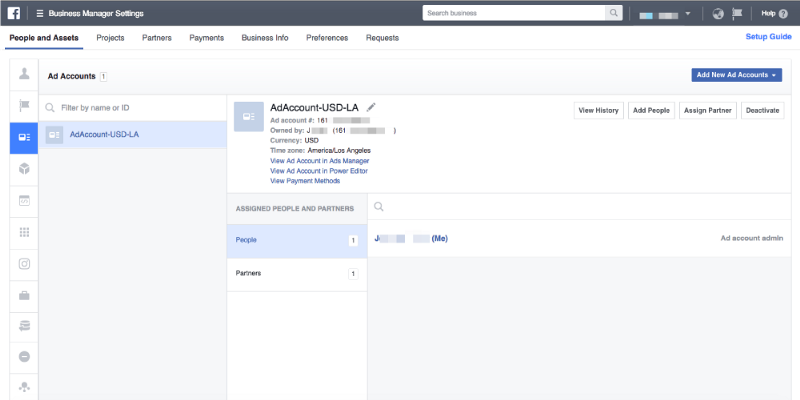 Here’s an instruction of How to create an ad account in your Facebook Business Manager?